The Premier Soccer League have confirmed the details for the Telkom Knockout semi-finals set for later this month. 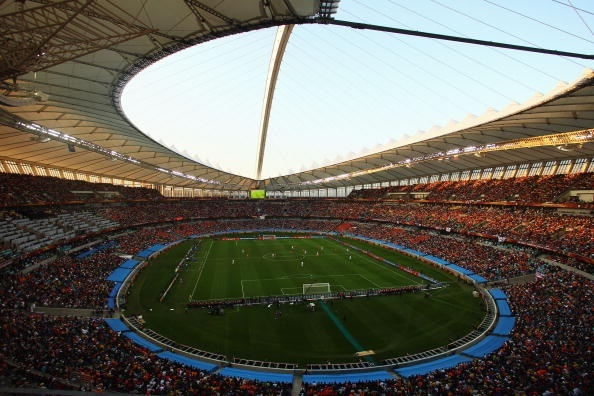 Kaizer Chiefs and Orlando Pirates were drawn to set up a Soweto Derby clash in the Telkom Knockout semis' will take place at the iconic Moses Mabhida Stadium in Durban on 24 November. Early this week SunSport reported that the Soweto derby could be taken to Durban’s Moses Mabhida Stadium, considering the sensitive nature of this clash following Chiefs’s defeat to Pirates in the league a week ago. And the PSL has now confirmed that the fixture has been moved from its traditional home FNB Stadium due to a prior event booking having been made by Stadium Management. The second #TKO2018 semi-final fixture will be played on 25 November at Peter Mokaba Stadium between Baroka FC and Bidvest Wits. Both matches will kick-off at 3pm. Tickets will be on sale as from 09 November 2018 at 12h00 at TicketPro outlets including Spar, Edgars stores, CNA, Postnet and Jet. Tickets will be available all over the country. PSL has urged football fanatics to get their tickets on time. "As both fixtures will be in high demand, members of the public are urged to purchase their ticket early," stated the PSL statement. "For the first semi-final at Moses Mabhida (Kaizer Chiefs vs Orlando Pirates), tickets will be selling at R80. The second semi-final (Baroka FC vs Bidvest Wits will be selling at R40 at Peter Mokaba."